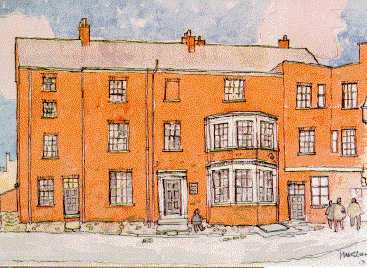 © Wakefield Art Galleries and Museums. 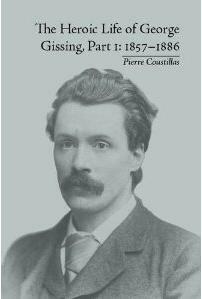 Published by The Gissing Trust, Wakefield. 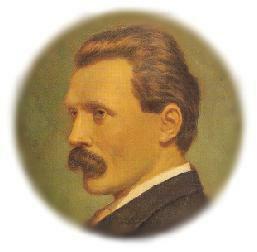 novelist; left Owens College, Manchester, in disgrace for America, where he wandered penniless until 1877; studied literature and philosophy at Jena; returned to England, 1878; published Workers in the Dawn (1880); found an appreciative reader in Frederic Harrison, to whose sons he became tutor, 1882; gained precarious livelihood by occasional journalism; published The Unclassed; (1884), Demos (1886), and other novels illustrating degrading effects of poverty on character; visited Naples, Rome, and Athens; published A Life's Morning (1888), The Nether World (1889), The Emancipated (1890), New Grub Street (1891), Born in Exile (1892), and The Odd Women (1893); revisited Italy with H. G. Wells, 1897, recording some experiences and impressions in By the Ionian Sea (1901); in Rome he found material for historical romance Veranilda (published posthumously, 1907); on return to England wrote The Town Traveller (1898) and Our Friend the Charlatan (1901); died of pneumonia at St Jean-de-Luz; other workd include critical study of Charles Dickens (1898), and The House of Cobwebs (1906). No help for your assignment can be expected. 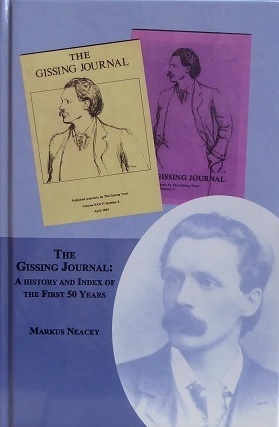 Gissing in Cyberspace was launched on 22 November 1995.